MindSpec announces the launch of its new science outreach webinar series, “Bridging Parents with Autism Science.” Interested participants should register. The introductory webinar, “Autism Reading Room: An Online Tool to Explore Autism Research,” will be offered four days during the summer: July 24, July 26, August 21, August 23. All webinars will be presented from 12:00–1:00 PM EST. 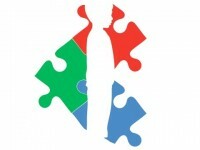 The “Bridging Parents with Autism Science” webinar series will help fulfill the mission of Autism Reading Room, which is to assist affected families in understanding their diagnosis, introduce the field of autism research to clinicians and practitioners, and promote public understanding of brain development. For more information, please contact: Catherine C. Swanwick, Ph.D., Director of Outreach, MindSpec, at catherine@mindspec.org, 202.531.4138.